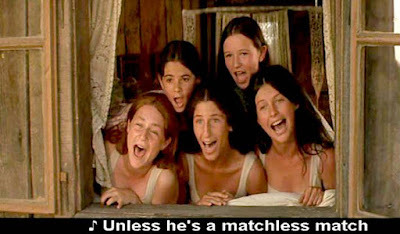 Jewish Humor Central: Tu B'Av - A Holiday for Matchmaking and a Scene from "Fiddler"
Tu B'Av - A Holiday for Matchmaking and a Scene from "Fiddler"
Today is Tu B'Av, the 15th day of the Jewish month of Av. And it's a holiday. A very ancient holiday that went almost unnoticed in the Jewish calendar for many centuries. But in recent decades, especially in Israel, it has taken on the trappings of Valentine's Day -- a Hebrew-Jewish day of love and romance. Originally a post-biblical day of joy, it served as a matchmaking day for unmarried women in the second Temple period (before the fall of Jerusalem in 70 C.E.). There is no way to know exactly how early Tu B'Av began. The first mention of this date is in the Mishnah (compiled and edited in the end of the second century), where Rabban Shimon ben Gamliel is quoted saying, "There were no better (i.e. happier) days for the people of Israel than the Fifteenth of Av and Yom Kippur, since on these days the daughters of Israel/Jerusalem go out dressed in white and dance in the vineyards. What were they saying: Young man, consider whom you choose (to be your wife)? "(Ta'anit, Chapter 4). The Gemara (the later, interpretive layer of the Talmud) attempts to find the origin of this date as a special joyous day, and offers several explanations. One of them is that on this day the Biblical "tribes of Israel were permitted to mingle with each other," namely: to marry women from other tribes (Talmud, Ta'anit 30b). This explanation is somewhat surprising, since nowhere in the Bible is there a prohibition on "intermarriage" among the 12 tribes of Israel. This Talmudic source probably is alluding to a story in the book of Judges (chapter 21): After a civil war between the tribe of Benjamin and other Israelite tribes, the tribes vowed not to intermarry with men of the tribe of Benjamin. Today most eligible men and women find their own matches through the workplace, the synagogue, summer camp, and, increasingly, Internet dating. In the very Orthodox world, traditional matchmaking is still practiced. 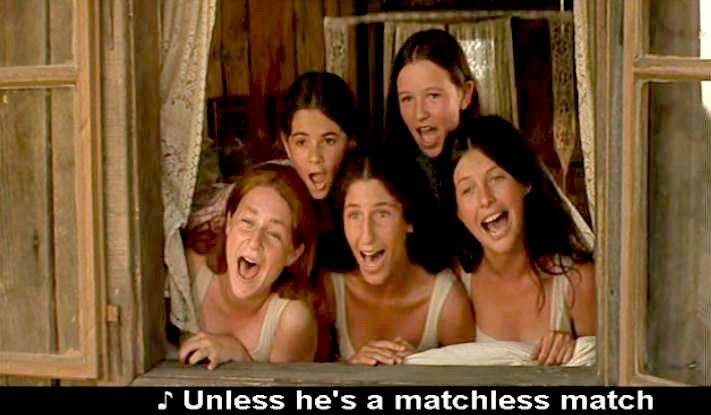 The best portrayal of this tradition is in the Matchmaker, Matchmaker scene in Fiddler on the Roof, when Tevye's daughters pine for a match and contemplate the possibilities in finding one.